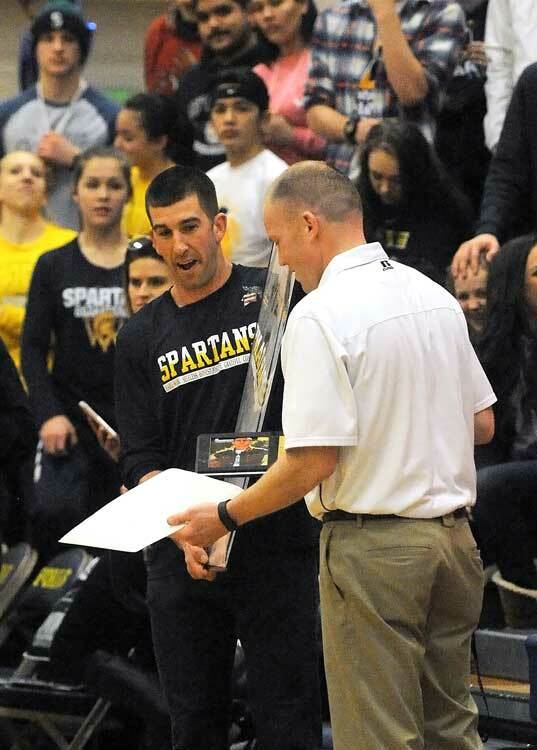 FORKS – The Forks High School Basketball program has inducted Kasey Ulin into its Spartan Basketball Hall of Fame. 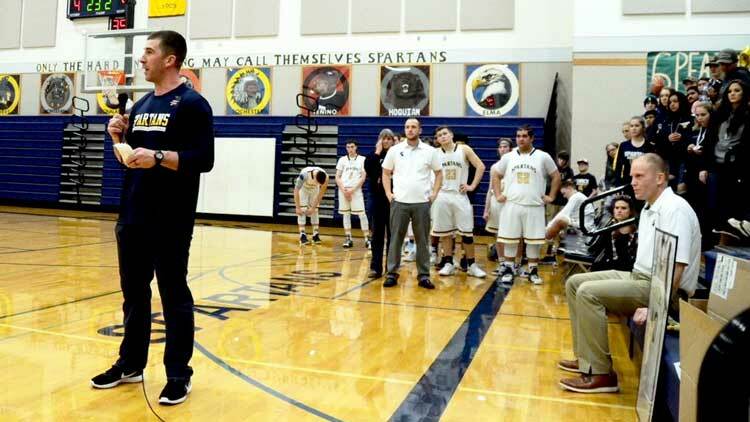 Ulin, who is also a community corrections officer at the Department of Corrections’ (DOC) Port Angeles Field Office, played for the Spartans at Forks High School (FHS). He earned many accolades during his sports career at FHS. He was the all-time leading scorer with 1,587 points. 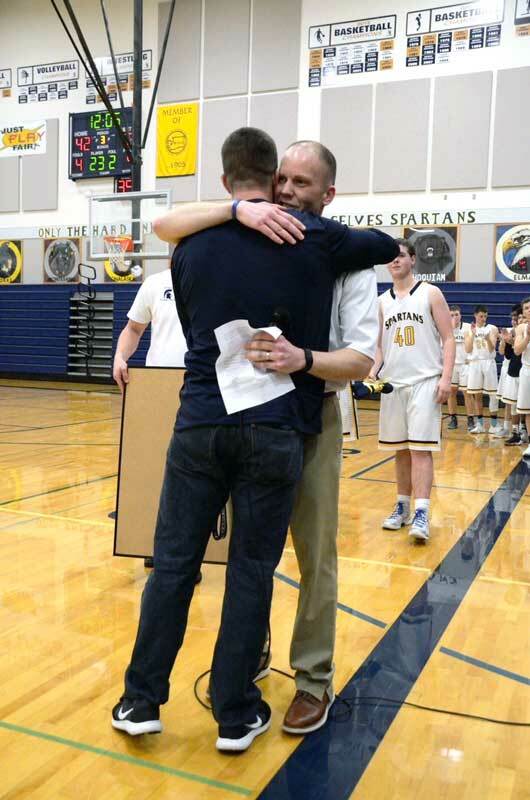 He also totaled 406 career assists, 367 rebounds and 128 steals in 77 career Varsity games as a Spartan. Ulin graduated from FHS in 2000. 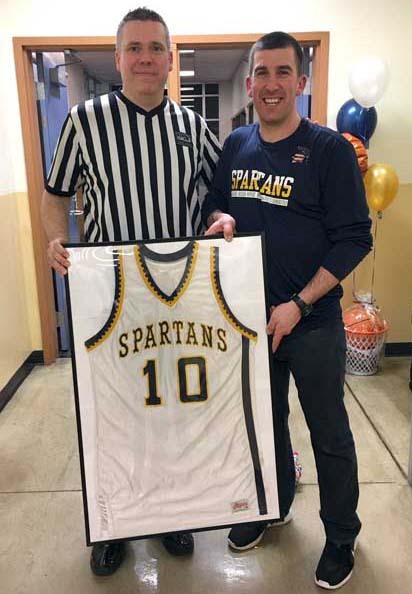 High School officials inducted Ulin into the hall of fame during a ceremony Feb. 2 during the last boys’ and girls’ varsity games of the 2017-2018 season. Ulin is the first-ever inductee into the program’s Hall of Fame. 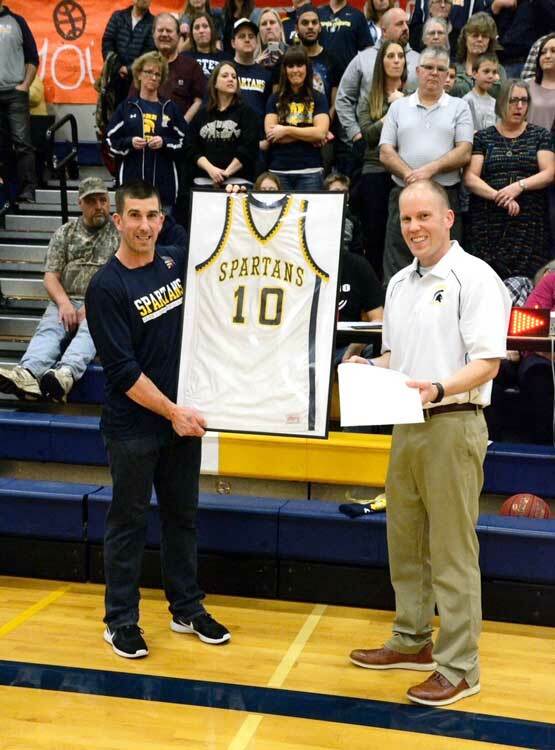 The school presented Ulin with his #10 jersey in a framed case. It will be permanently displayed at Forks High School. 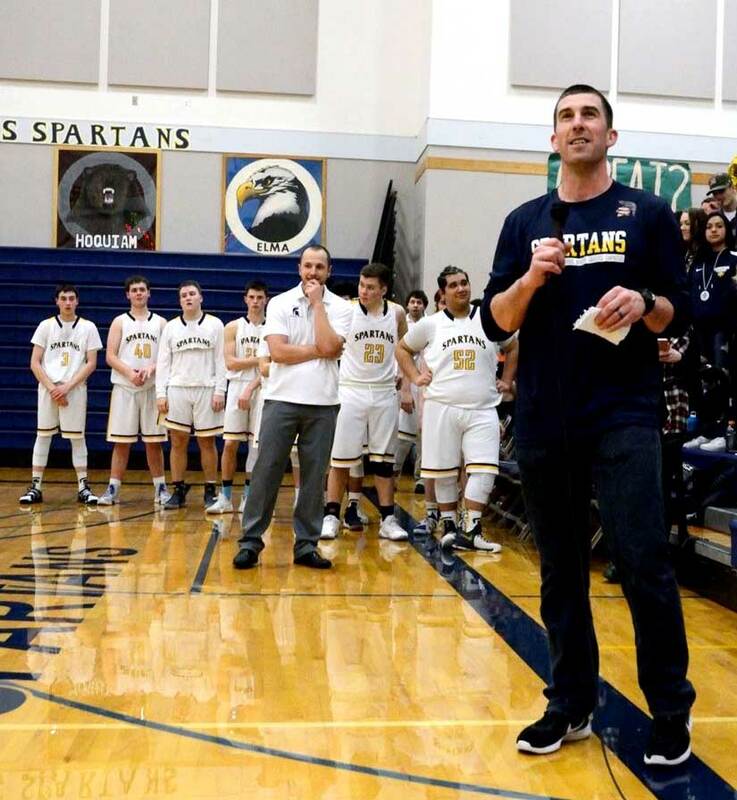 Ulin earned many honors as a Spartan including Evergreen League MVP in 2000, First Team All-State 2000, USA Today Honorable Mention All-American 2000 and First Team All-State Tournament team, where he was the Washington Interscholastic Activities Association State Tournament, in which he had a scoring average record of 26.3 points per game. After graduating from FHS, Ulin played college basketball at Yakima Valley Community College (YVCC). He became an MVP for the Northwest Athletic Association of Community Colleges (NAACC) and led the YVCC and NAACC more than 25 points per game. After graduating from YVCC, he went on to Central Washington University and later Dickinson State University in North Dakota and led the National Association of Intercollegiate Athletics in scoring 27.9 points per game and a shooting percentage of 49.7. Ulin continued his basketball career playing overseas for seven years in Germany, Australia, Macedonia and BBC Sparta in Luxemboug where he won a championship in 2012 and was voted MVP of Finals and Player of the Year in 2013, averaging more than 22 points per game and 5.7 rebounds and 5 assists a game. Ulin retired from playing basketball in 2013. In August 2015, he began his career as a community corrections officer at the DOC. Though he no longer plays basketball full-time, he can still be seen on the court. Ulin is the boys’ varsity head coach for the Port Angeles High School Roughriders.